Can Blog Posts Rank on Google Without Building Links? Blog > Content Marketing > Can Blog Posts Rank on Google Without Building Links? Link building is incredibly tricky. It takes a lot of work and a lot of caution, because if you do it wrong, you’ll end up with a Penguin penalty and your site rankings will tank. So many strategies are gray or black hat, and so many links have little or no value. You can easily find yourself wasting your efforts or taking time to build links that don’t help you. On the other hand, link building is pretty much essential. The very core of Google itself began with the predecessor to PageRank, which was a measurement of links coming into a site. Google has built up from there, sure, but they haven’t moved away from that core foundation. If you’ve paid attention to Google over the years, you might think otherwise. 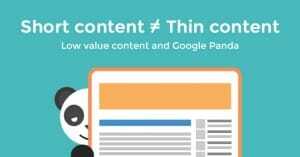 They’re constantly talking about how the real value lies in great content, and how links aren’t as important as the value you provide to your readers. That’s all a great load of crap, unfortunately. You know why? When someone likes your post and shares it on Facebook, what is that? It’s a link from Facebook to your site. When someone likes your post and shares it on their blog? That’s another link, from one site to another. When you provide a bunch of good data and someone uses you as a source in their case study later, that’s yet another link from another site. Everything Google is pushing as a replacement for links is just another way of attracting links. Of course, that’s misrepresenting what Google has said, just a little. Google isn’t actually saying that links don’t matter. They’re saying that the things you do to build your links matter. They’re saying that context matters. You can build a million links, but if you did it by spamming thin article directories and spam sites, you’re not going to get value out of those links. 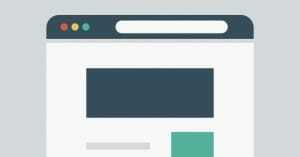 Your site isn’t going to rank. It’s all part of Google’s ongoing war against black hat marketers and spammers. They can’t remove links from the foundation of search ranking, but they can emphasize context. They treat links as units of value, but they treat the context of those links as a modifier for that value. Think of it this way. One link from a site to your page is +1 unit of value by default. If that site is a spam site, it has a -1 modifier, so that link now has a +0 unit of value to you. If that site is a minor authority in your niche, that link has a +1 unit of value, making it worth +2. 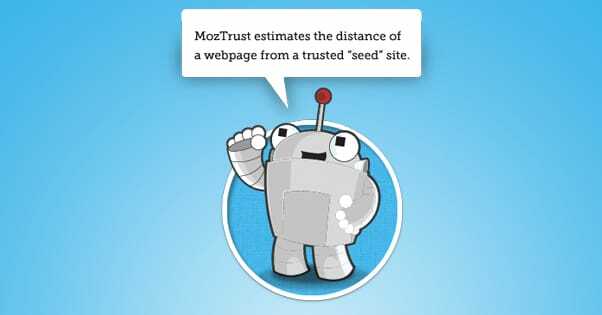 If that site is a major authority, like a link from Moz would be in SEO, that link might have even more value, +3 or +5 or more. 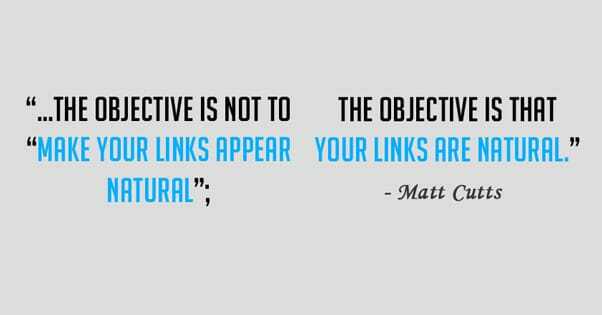 This is why the focus of link building is on building “authority links” and high quality links. It’s why Google tries to promote earning links from top-tier sources. It’s why SEO link sellers try to sell .edu and .gov domains – not because those links have inherently more value, but because the sites tend to be authorities by default. So, the simple answer to the question “can you rank without links” is a pretty firm no. For that matter, let’s take a look at a recent post about ranking without building links. What does the author suggest? Write about trending topics. Sure, that’s fine, but why are you writing about trending topics? Because they’re on people’s minds, and other people are writing about them. Those other people will link to or share your posts. Thus, links. Focus on social media. First of all, Google does not actually place a premium on social signals like this post suggests. They’re important, but not of “premium” importance. Secondly, people tend to forget that every share on a social network is a new link from a different profile. Sending out emails. How does that help your search ranking? You get more traffic, but traffic numbers alone aren’t a search ranking factor. No, sending your link out in email puts it in front of people who will then either link to it or share it on social media; again, links. Write great content. Of course this is valuable, but great content with no links pointing to it isn’t going to rank. We see this time and time again. IF you think otherwise, go ahead and make a new blog on a new URL and try to rank it without links. I bet you won’t get anywhere. 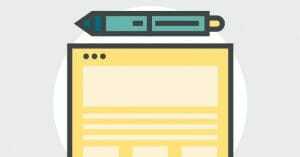 Write guest posts. Sure, writing guest posts can help you, but it helps you as an author, not your site. The only way it sends value to your site is, you guessed it; if you link to it. Improving your user experience. User experience is a search ranking factor, but it’s incredibly minor compared to other factors. It’s a baseline of “good” really; if your user experience is poor, it drives users away, which hurts you. Target long tail keywords. 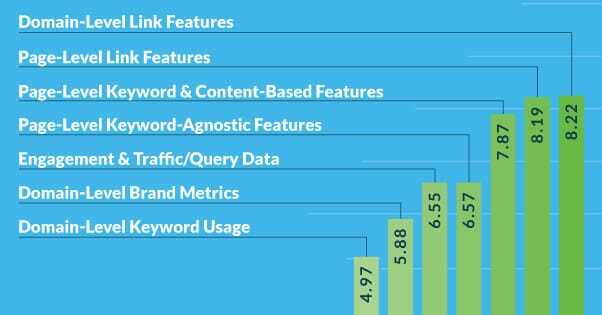 Okay, so you can potentially rank for long tail keywords, but if you’re doing it without links, you’re targeting keywords that don’t have enough competition to be worthwhile. Link out to external sites. Yup! Links. Linking out helps get your site found, but it also helps other people link back in return. Alright, to be fair, I picked a pretty low quality article to rebut here, but that particular post actually ranked for the topic of ranking without links. You know how it did it? I would venture to guess something to do with the 41,500 links pointing at the domain, but that’s just me. All of the above is just logical to me, but you’re not here for logic; you’re here for data, analysis, and conclusions. So, let’s see what we can see, shall we? One great source of data is the Moz Ranking Factors Correlation Survey. 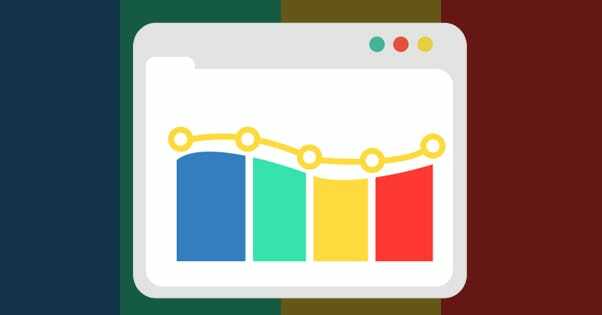 This survey takes a huge amount of data and figures out what factors have the strongest correlation to a higher search ranking. The number one is domain-level links; links to your site as a whole, the quality of those links, the trust of the sites involved, and the PageRank of the domains. The number two? The same stuff, but on a page level instead of on the site level. Sure, correlation is not causation, but it’s a pretty darn strong case being made here. For years, webmasters have noticed that getting links got them a higher search ranking. It’s difficult to isolate one single factor, though. After all, at some level, all things tie back to links, don’t they? Here are some facts, drawn from that study. Virtually every competitive search, the pages that rank for it have external links, often very many of them. It’s possible for an individual page to rank with no links pointing at it, but only if the site as a whole has links. Think of link value as something that diffuses throughout your whole site. Maybe 60% of the value of a link goes to the page it links to, and the other 40% is divided up throughout the rest of the site. The linked page will do best from that link, but every page benefits. Enough links to other pages push non-linked pages up into ranking. More links = higher rankings. It’s been observed time and time again for years, both before and after algorithmic updates like Penguin. There are essentially three things Google can do when they see a link pointing at your site. That is, they can assign it a positive value, they can assign it a negative value, or they can assign it no value at all. Links that are coming from valuable sources relevant to your niche will tend to have a positive value. A link to this site from Moz would have positive value. A link to this site from a football fansite, not so much. Even if that site is useful on its own, it’s not related to blogging or SEO, so it’s not relevant to me. That’s the kind of link that Google decides should have a neutral value. Other links, even links from high value sources, can be assigned neutral value. That’s the purpose of nofollowed links, for example. Nofollowed links are links that they owner of the linking site says shouldn’t have value. For the most part, Google respects that. Links that would have negative value tend to be links from spam sites, hidden links, or links from hacked sites. Any time it looks like a link was purchased or obtained via illegal means, that’s a link that has negative value. The amount of negative value depends on how bad the site is and, of course, context. How many such negative links are pointing at your site? A few here and there might not be your fault. A lot of them might indicate you’ve been buying links and you should be penalized for it. Google has hundreds of ranking signals. There’s a certain popular article claiming to list a couple hundred of them. Many of them are factors that influence other factors rather than influencing your site as a whole, though. Context, again. One of the huge factors Google considers is trust. Trust comes from your reputation as a good marketer, from your associations and your past, and from your relationships with other sites. To some extent, that relationship is measured in links, but it also comes up if you’ve guest-blogged or contributed to other sites as well. If you have a history of spam or black hat actions, thin content, or a poor user experience, you’re going to have low trust and your other signals will be worth less than they might otherwise be. Let’s dial back to the actual question in the title for a moment. I’ve been discussing ranking blogs, but is it possible to rank a specific post without building links to that post? I’ve already sort of answered this above, but the answer is yes, with a caveat. A blog post with no links pointing at it can still rank well, so long as the rest of the site does have links. Again, there are both page-level and site-level metrics at play here, and links contribute to both. Enough site-level links will rank a page that was just created, which you see time and time again on large blogs. So the answer really depends on what you mean by building links. You will, sooner or later, need to build links to your site. Without links, no one finds you, no one shares you, and you don’t rank for anything other than branded, no-competition keywords. If you’re trying to rank an entire site with no links to it, good luck and godspeed. You won’t make it, but I’m not going to wish you ill. If, on the other hand, you don’t want to bother building links to one specific post, that’s fine. As long as you’re earning links to your high quality content, or you’re building links to other posts, you’re going to be fine. The thing is, though, why would you want to leave one particular post out? If you want it seen, why would you deliberately ignore one means of making it seen? If you want it ranked, you might as well put the effort into ranking it directly rather than indirectly. If you don’t care whether or not it ranks, sure, you can ignore the link building. But in that case, it doesn’t matter whether or not it ranks. 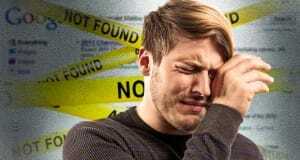 You can rank a single post without links to that post, but you can’t rank an entire site without links. That’s just the way Google is built, and it’s the game we have to play. If you don’t want to play the game, you might want to find another line of work. Kenny is an SEM and SEO professional. He uses blogging and content marketing as a launchpad for small businesses looking to grow their online presence. Why Aren’t My Blog Posts Showing up in Google? Can Short Articles Rank Well on Google? Questions for us? Comments? Thoughts? Leave a reply! Blogpros helps you get more likes, tweets, and shares on your latest blog posts, starting at $39/mo. Increase your search rankings and social shares. Try it on your blog free for 30 days!